320 pages | 15 B/W Illus. 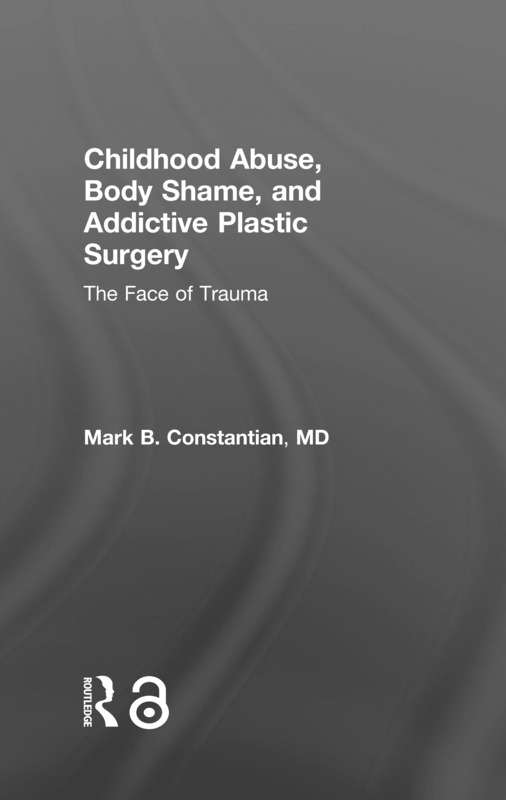 Childhood Abuse, Body Shame, and Addictive Plastic Surgery explores the psychopathology that plastic surgeons can encounter when seemingly excellent surgical candidates develop body dysmorphic disorder postoperatively. By examining how developmental abuse and neglect influence body image, personality, addictions, resilience, and adult health, this highly readable book uncovers the childhood sources of body dysmorphic disorder. Written from the unique perspective of a leading plastic surgeon with extensive experience in this area and featuring many poignant clinical vignettes and groundbreaking trauma research, this heavily referenced text offers a new explanation for body dysmorphic disorder that provides help for therapists and surgeons and hope for patients. Dr. Mark Constantian, a brilliant, accomplished surgeon, becomes a modern day Sherlock Holmes to uncover the causes of a grand theft of self-esteem in some patients and the never-ending quest for an illusory body perfection through plastic surgery. Meticulously researched and illustrated with evocative vignettes, readers will enjoy this as much as a suspense thriller. Highly recommended for physicians and patients. I am extremely excited about the opportunities that Dr. Constantian’s innovative, courageous pursuit offers. I have told my colleagues about how we found each other, and how his open-minded response to my books led to his own; I experienced a similar epiphany with Peter Levine’s writings. This is a golden chance to enlighten the lay and medical communities and pave the way for a dramatic break-through in the role of trauma in body dysmorphic disorder. Robert Scaer, MD., author of The Body Bears the Burden, The Trauma Spectrum, and 8 Keys to Brain-Body Balance. Dr. Constantian writes extremely well and gives the patient a voice that will be chillingly familiar to those who have dealt with these unfortunate individuals. His extensive literature and clinical research establishes the influence of childhood trauma on someone with BDD. We all know these people, and most physicians will ultimately face a BDD patient. His book should be required reading for all lay and professional people who care for the BDD patient. Dr. Constantian is, in my opinion, spot on in his observations on re-visioning body dysmorphia, which are excellent and long overdue. They are particularly exceptional from the point of view of a reconstructive surgeon. Dr. Constantian introduces a new perspective into the challenging existence of those struggling with body dysmorphia. As a plastic surgeon, he brings a fresh set of insights to the therapeutic world that can free up those chains of shame, trauma and hopelessness that too often define the world of anorexia, bulimia or binge eating disorder, and provides an antidote to such pain and suffering. This is a must book for anyone interested in body distortion. Understanding what drives our patients is quintessential. In cosmetic medicine the stakes are higher and motivational algorithms much more complex. In this volume influential plastic surgeon Mark Constantian explores these issues with and - for those of us who fear the abyss - for us. It is a true historical masterpiece. Encompassing, almost bottomless and exceptionally original. The magic glue however is Dr. Constantian’s story telling, which makes this volume irresistibly personal and meaningful. In this good read, Dr. Constantian's powerful contribution extensively researches the surgical and mental health literatures to expose the underworld of adverse childhood events. We visualize the toxic trajectory of childhood trauma and its devastating impact on self-worth, distorting reality and body image and driving the desire for excessive plastic surgery. Dr. Constantian shows that resilience is the antidote to childhood trauma. After all, when there is recognition and treatment, optimism follows. Mark B. Constantian, MD, FACS, has practiced plastic surgery in Nashua, New Hampshire, since 1978 and has faculty appointments at the University of Wisconsin and the University of Virginia. He is the author of more than 100 professional journal articles and book chapters and two previous textbooks, including Rhinoplasty: Craft and Magic.